In mid-September the first version of the open source authoring tool for real responsive E-Learning to enable mobile learning was presented. A lot happened in these past few months and even more is going to happen by the end of 2014. 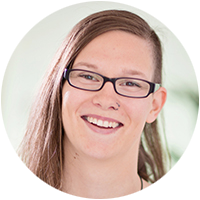 Our developer, Petra Nußdorfer, knows all the details and isn’t afraid to share. In September 2013, Adapt was established. In April we already reported on Adapt Learning, where we explained that, Adapt Learning is a development environment for the creation of real responsive E-Learning content, which can be used for mobile learning use-cases. Moreover, since March 2014, LearnChamp has been official collaborator in the Adapt project. Meaning, we are officially part of the development team. Since then, we have been working intensively on the framework and the authoring tool, which is the visual user surface of the framework. For the release of the first demo, the core team was invited to LearningPool’s headquarter in Northern Ireland, where the new demo got its fine tuning and the roadmap for the next months was compiled. Even though we have to wait a bit longer for the official release, we are already able to announce, which possibilities the tool will offer for the user in the near future. Just like the framework, the tool is also very “slim” in its core. All additional extensions and plugins can be added and deleted anytime. Another feature, which makes working with the tool easy, is the new search and filter option. It can not only be used for the course itself but also for pictures, extensions and themes. The new preview feature enables you to see the current status of the course, you are working on. To publish your course, you only need one mouse click. Like the framework, the tool is also a GPL Open Source licence, making the source code available to everyone. For those who can’t wait for the official release, the developer version can already be downloaded here. Even though the tool has not yet been officially released, the developer version clearly shows where the tool is going. In my point of view, now is the right time to make yourself comfortable with the tool in order to get a good overview of what the tool can do and to be able to use it from the start. If you want to be up-to-date concerning releases etc. come and join the Adapt Learning Community or visit the Adapt Learning Youtube channel. Born and raised in Salzburg, Petra Nußdorfer is known for her passion for new adventures. Ranging from skydiving to programming web based authoring tools. Petra is not only an expert in web development, responsive design and software development, she is also significantly involved in the development of the Adapt Learning framework.